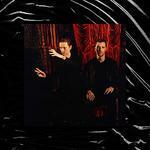 These New Puritans open Inside The Rose with a brooding invitation. "These are my words as I return / Let's go back to the underworld / Let's go back inside," singer/multi-instrumentalist Jack Barnett drawls with a callous intonation. Barnett, alongside his twin brother George, continues to explore dense, jazz-flecked song forms within a neo-classical framework. Of course, with the Southend-on-Sea duo, such descriptors come short of adequately defining what exactly they aspire to achieve. Every move they've made thus far tends to fall on the unpredictable side—from indefatigable dance punk to coiled brute noise, each album cycle positions them in inspired and rarefied form. What's immediately striking—and frankly uncanny—about their fourth studio album is that it doesn't try to sound either accessible or abstruse. There used to be a noticeable self-awareness to their thematic focus, that it was necessary for them to flaunt their artful importance. At the same time, you could state the case that doing so benefitted them in the long run. It distinguished them from the angular British post-punk bands that favored brawn over brains in the mid-2000s, after all. But somehow, even with the departure of two key members after 2013's Field of Reeds, they haven't lessened their depth and dramatic scope. On Inside The Rose, the duo chisel their rimy, amorphous arrangements into a finely pointed portrait of emotional disintegration. Opener Infinity Vibraphones is an apt title, though maybe too precise, where urgent mallet hits create a surrounding tension around Barnett's detached vocals. Busy, ringing percussion bounces against an echoing "Never give up" refrain on Anti-Gravity. It sounds like a taut version of Tears for Fears' The Hurting, though clouded with more menacing intent. We're not quite sure if there's any optimism behind Barnett's idea of getting lost in unison. But with These New Puritans, it's always appropriate to try to take their notional ideas at face value before beginning to reconstruct their true meaning. Inside The Rose is meant to sound opulent—from the luxuriant strings of the title track to the prolonged horns of Where the Trees Are on Fire, there's a romantic grandeur to the duo's dark, velvety imagery. The latter, especially, builds into a wonderland that, instead of joy, is filled with uncertainty: "This is where your dreams come true /Your nightmares too, your nightmares too." There's a logical progression to the ambient passages of Field of Reeds, but less textural, as if they're trying to write mannered songs even if they take a fragmented approach. It may seem as if These New Puritans lose something in minimizing their lineup—despite the enveloping beauty of Inside The Rose, they tone down the chamber sensibilities that gave Field of Reeds a full symphonic experience. The duo treats and respects space as its very own instrument, though they do find creative ways to enhance their sound despite the apparent limitations. Six ends the album with an angelic chorus over a beatific, synth-like organ. "As I know you," Barnett mourns, which may imply either an admission or a reproach. That deliberate vagueness is a strength, and it's key to understanding how the duo finds meaning in exploring the enigmatic.